Whether you are buying or selling, investing in commercial property or financing your forever family home, you will need solid legal advice from the outset, to ensure that you do not run into problems later down the line. 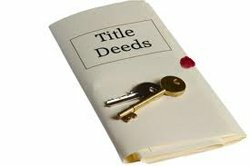 We have over 25 years experience dealing with all types of property transactions. Whether it be freehold or leasehold, we will endeavour to ensure that all planning requirements have been complied with, that the property and its boundaries have been properly identified, and that the title is good and marketable. It is our job to make sure that when you come to sell your property you won’t be met with any unforeseen problems. We are also here to safeguard your right to free and full enjoyment of your property. If there has been any unlawful encroachment on your property, we will make an application to the courts to rectify this.